Today’s business reality requires organisations to become increasingly more efficient in managing their human resources. Attracting, retaining and developing human resources can prove difficult and costly. Oxyon provides the knowledge and resources to manage part or all of a clients’ human resources, allowing them to streamline their internal processes and concentrate on generating profit in their core business, thus by understanding your strategy and Human Capital requirements, we tailor-make a solution for you, providing innovative resources alternatives. 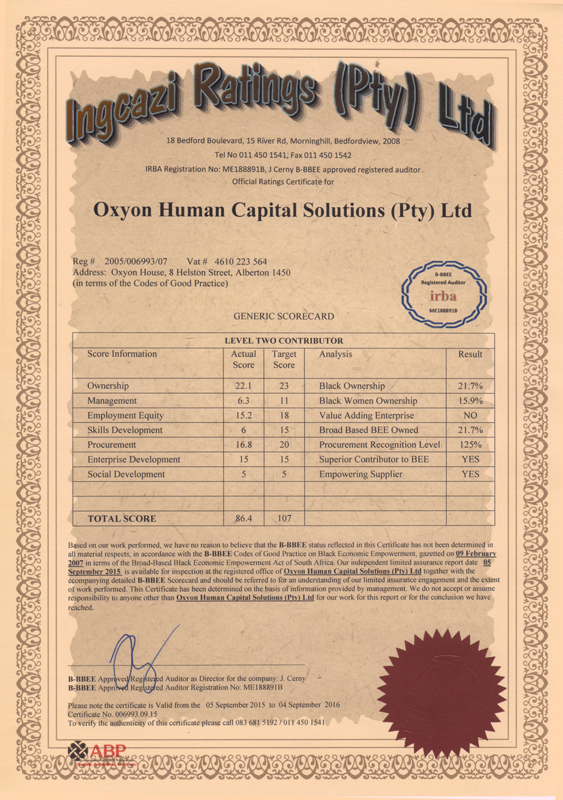 Who is Oxyon Human Capital Solutions? For over 20 years Oxyon has strived for continued excellence in all the aspects of staffing solutions – supply of superior resources, industrial relations, labour law and accurate payroll solutions. 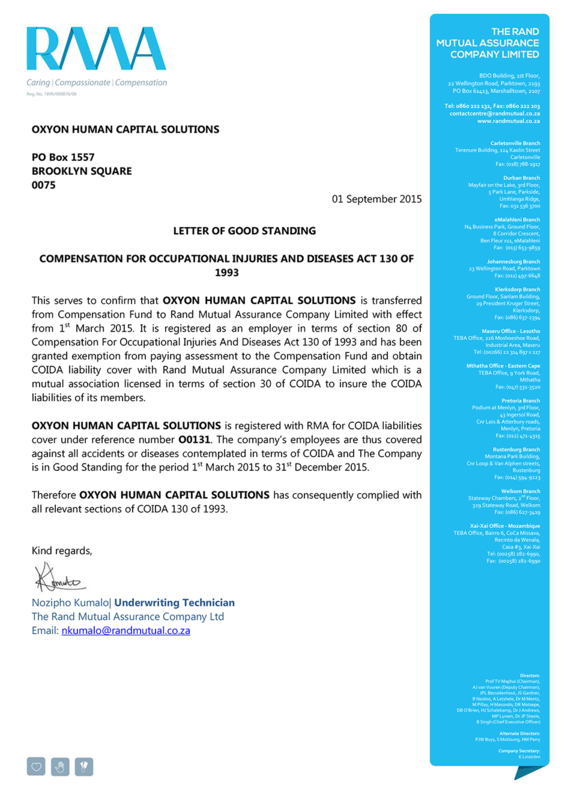 Our success in all of these areas set us apart from our competitors with the values of respect, integrity, support, education and complete compliance with all the aspects pertaining to South African Labour Legislation. We combine our Staffing Knowledge, Search Skills and Flexible “Out of the Box” Services to offer our client a Tailor-made Service. 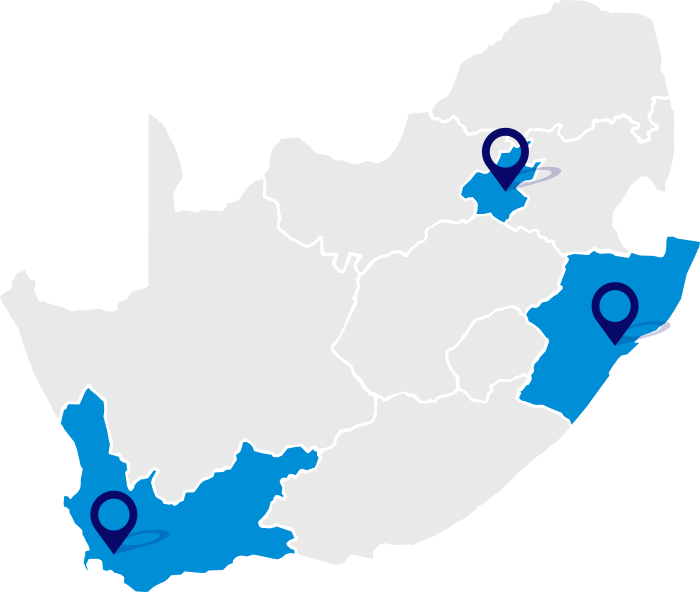 We currently have Physical Presence in Gauteng; Western Cape and KZN and are able to Operate Effectively throughout Southern Africa from this Footprint. 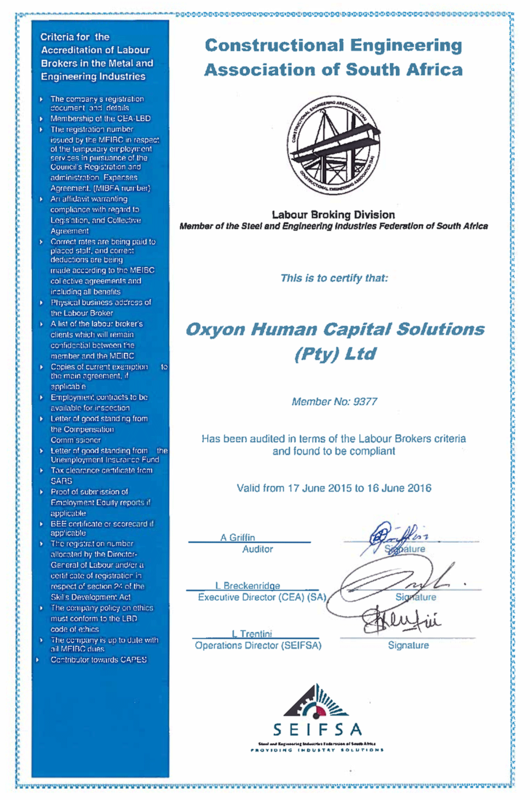 For over 20 years Oxyon has strived for continued excellence in all the aspects of staffing solutions – supply of superior human resources, industrial relations, labour law and accurate payroll solutions. 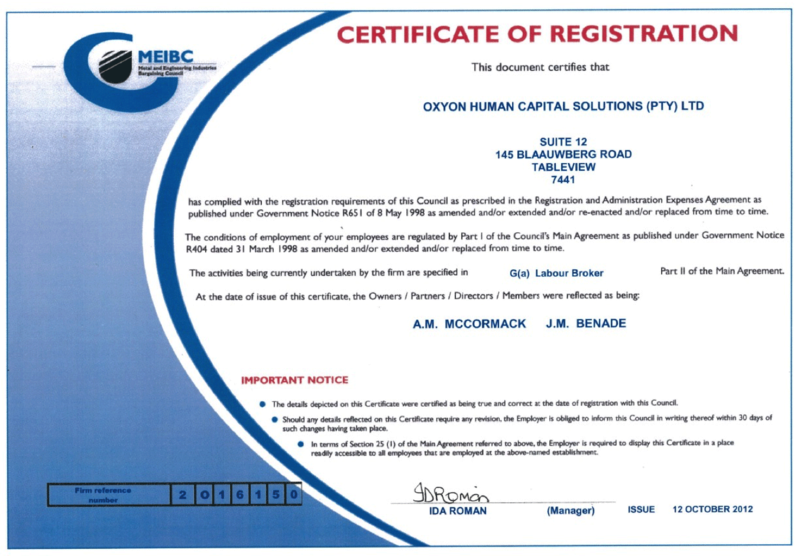 Our success in all of these departments sets us apart from our competitors with the values of respect, integrity, support, education and complete compliance with all the aspects pertaining to South African Labour Law Legislation. 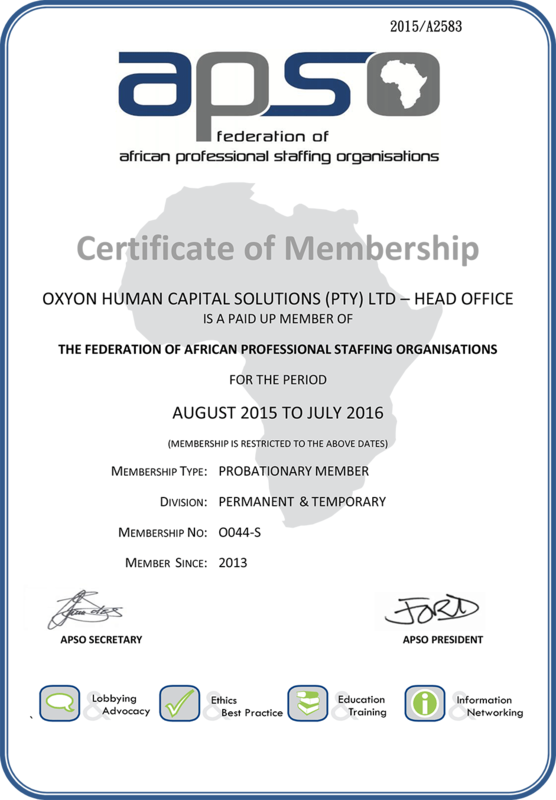 Our vision is to establish Oxyon as the foremost Private Employment provider of independent human resources whether permanent or project based contingency employment and to ensure a greater share of knowledge and security with our employees and clients, to create a harmony in the private employment sector which will be a trusting and a potentially unique understanding between client, employee and specialised service provider – thereby standing out as the organisation that makes a difference. 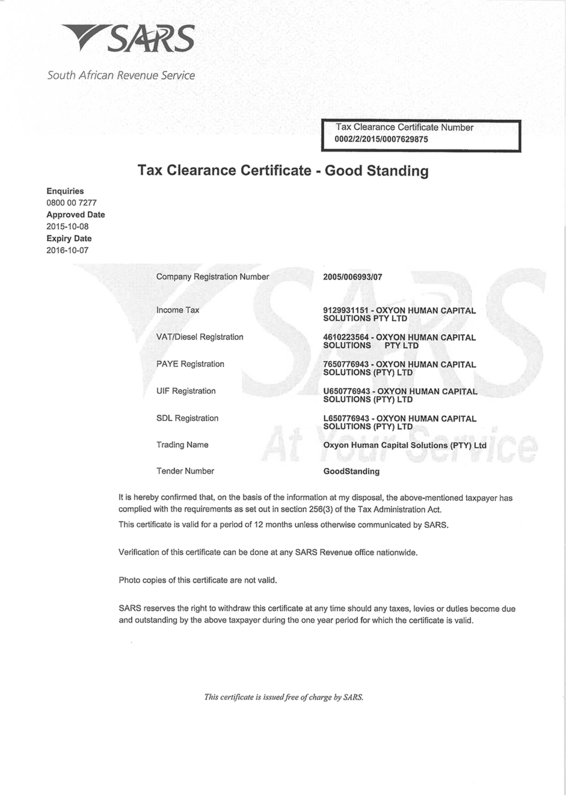 We are proud to be a Level 3 BBBEE contributor according to the Generic Scorecard and we are constantly taking steps to improve this rating.